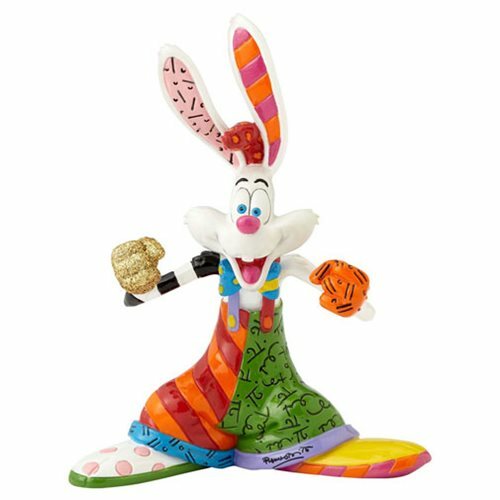 Scheduled for Summer 2017 there will be two new Roger Rabbit characters added into the Romero Britto Collection. 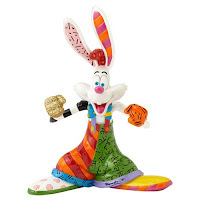 In 2013 a Jessica Rabbit bust was added to the catalog of Disney characters recreated in Britto's bright, bold style. Joining the list of Disney characters such as the Little Mermaid, Tinker Bell and Mickey Mouse, Jessica was later released as a full statue in 2016. 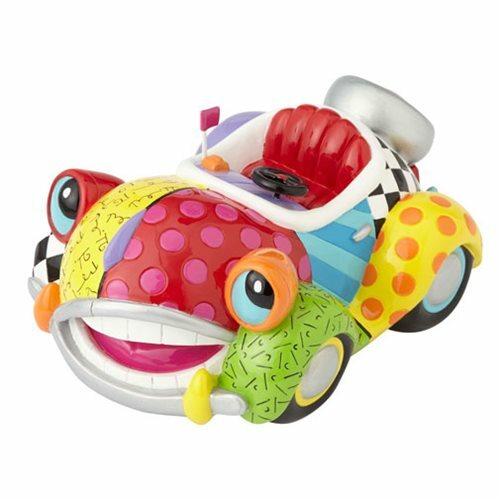 This summer Benny the Cab and Roger Rabbit himself will be added to the collection, with the same signature graffiti style and cubist patterns. Roger will sell for $44.99. He stands at 6¾ inches tall and will feature one gold glittered glove. Benny will sell for $54.99. He will be 7 inches front to back and 3¼ inches tall. They are scheduled to be released some time in July 2017.